If you start a business, you will one day need to start charging GST on your products. Once you start charging it, you will also need to start doing remittances based off the schedule you have chosen. 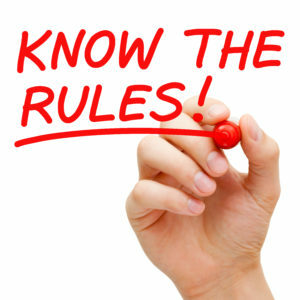 Like most things with the CRA, GST has many moving parts and rules. This post will only cover the basic rules of when to start charging GST on your products. If you are confused by GST and if you need to charge it, your bookkeeping professional will be able to help. When do you need to start charging GST? You are a small supplier. Those two criteria might not mean too much to you as a business owner trying to figure out if you need to charge GST. Exempt supplies are defined by the CRA here. There are too many to be listed on this post, some examples of it are legal aid services, music lessons, and most health services performed by licensed professionals. A small supplier is a business that has taxable sales that are less than $30,000 in four consecutive calendar quarters. The minute you cross over this threshold you must register for GST. If you remain below the $30,000 you can voluntarily chose to apply for and remit GST, but it is not a requirement. How do you register for GST? Once you have determined that you need to start charging GST, you must pick a reporting period. This means the frequency with which you need to file a GST return and remit the amount owing to the government. The period you may choose is based on your income. Below is a chart from the CRA website on your options for reporting period. While annually does seem an attractive option if you qualify, there are a couple things you need to consider. The first is that it does not get you out of remitting money quarterly. If you owed more than $3,000 in the previous year in GST, you will need to make quarterly installments. If you neglect to make these installments, the CRA will charge you interest on your GST owed when you file if it is again over the $3,000. It is important to ensure that you are filing and paying your GST on time. If you do not, the CRA will charge you interest and penalties and in extreme cases can even take money out of your bank account to cover the amounts owing. Quarterly Due the end of the next month after period end. For example, March period end, GST is due April 30. Monthly Due the end of the next month after period end. For example, January period end, GST is due February 28. For more information, you can check out the CRA website here. The accounting industry is changing and no longer do you need to come to an office to get bookkeeping and accounting services. Sharing a file is easier than ever and clients can do as much or as little work as they want. This post will briefly cover the advantages of using an online software. 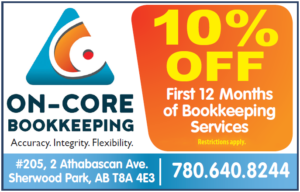 On-Core is trained in, and works with two online accounting software’s. Below this section are pictures of each logo, you can click on them to be taken to their respective websites. The first is probably the best known. Everyone has heard a radio ad or seen Danny DeVito on TV talking about QuickBooks Online. If you use QuickBooks Desktop you may have even seen a button for transitioning your desktop file to Online. Transferring from desktop to online is relatively seamless whether you currently use QuickBooks desktop or not. The second is a software from New Zealand, Xero. Xero has recently acquired Hubdoc and is working on transitioning into the Canadian market. Transferring from your current software to Xero is also relatively seamless. Transferring to either of these is a great opportunity to clean up your file by eliminating accounts, vendors, or customers that are long inactive. However, with both, you will need to keep a copy of your old software as you will not be able to put in the detail of previous years, just opening balances. Using online software is a paperless solution to bookkeeping. It can help to eliminate that storage room full of banker boxes that you have! You don’t need to hold onto that gas receipt from 2 months ago until you get to see your bookkeeper. You can simply take a picture, upload it, and toss it! It will be attached to the transaction in your online software and therefore easily accessible to anyone needing to see the backup. While not every transaction is able to be automated, these online software’s can eliminate some of the repetitive transactions, saving your company time and money. This is done by linking vendors to their respective accounts. For example, Shell would be automatically be coded to automobile expenses. If you stay on top of doing your books, which with automation is a snap, you will know where your business stands whenever you need. Traditional bookkeeping only allows you to get monthly reports on your business after the month is over. With online software, you can work with your bookkeeper to know where your business stands at all times. With online software you no longer need to make monthly visits to your bookkeepers office. With it being paperless, you can get your bookkeeping done by any bookkeeper and not have the stress of needing to deliver your monthly paperwork to get reports. You may look at that header and think, how can it being a little too easy be a disadvantage? Online software make it easy to do it yourself. 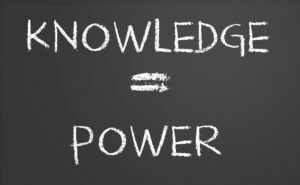 However, if you have not had any experience or training in doing your books, this can lead to mistakes being made. This mistakes will be costly to correct. Online software is worth adopting. Bookkeeping companies are here to support you in the transition, ensuring that you can reap all the advantages of doing books through online software. On-Core has professionals that have been certified in both of these programs. We can train you on how to use these programs, and offer monthly support. These programs can save you money, and On-Core is here to show you how! Using vehicles is an essential part of modern day business. Whether your employee needs to go visit a client, or goes to pick up stamps from the store. You need to know how to reimburse them for the kilometers driven. There are three criteria that you must meet in order to make your employees mileage reimbursement tax free. 1). You must pay them according to the CRA’s reasonable rates. The CRA reasonable rate per-kilometer rate has gone up in 2019 (below is a chart with both the 2019 and 2018 rates). As an employer, you can choose to pay them more than these rates. However, all the reimbursement would become a taxable income to the employee. 2) You are only reimbursing your employees for business KMs driven. 3) You are not reimbursing your employee for any other expenses related to the use of the same vehicle. For example, you do not reimburse them for fuel in addition to kilometers driven. If you do not meet these criteria you must take CPP, EI, and income tax off the monies given to the employee for their KMs. You can read more about this here, on the CRAs website. If you have any questions, you can contact On-Core and our payroll specialists would be happy to help! 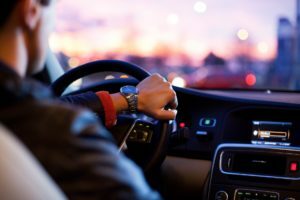 For information on tracking mileage if you’re a business owner, you can check out our post here. Which includes a free mileage log download sample. It is important to note, the same KM rates apply to business owners. In December we did a post on employee gifts that pertained more towards employee gifts for the holidays. In this post we plan on expanding more into the year round rules on giving employee gifts and awards. We know that this subject can be a little dry, but it is vital that an employer understands these rules before giving gifts to their employees. Gift – A gift must be for a special occasion, this can include religious holidays, birthdays, weddings, or a child’s birth. Award – an award has to be for an accomplishment of the employee; an example of this includes employee of the year. Usually an award must be exclusive and there may even be a nomination process. If the award is for a performance related reason it automatically becomes a taxable benefit to the employee. An example of this is giving someone a gift for meeting their sales quota. The employee is allowed $500 of tax-free gifts and awards every year. Cash or Cash Equivalent – If you give your employees cash, or something that can easily be converted to cash like a gift card, this is a taxable benefit and must be included in the employees income. Note that everything taxable is also pensionable and therefore CPP applies. However, EI only applies when the gift was cash or a cash equivalent. An employer is entitled to give their employee a long service award every 5 years of employment. Anything outside of this time-frame is automatically considered a taxable benefit. Anything over $500 is also a taxable benefit to the employee. The good news is that this does not count towards the employees $500 gift and award allowance. Social Committee – If the employer pays for the social committee, all gifts and draws through the social committee are deemed eligible towards the $500 gift allowance of the employee. However, if the social committee is funded by employees, either with their own money or through fundraisers, everything given out through the social committee with be non-taxable. Events – If an employer throws a party or hosts a social event outside of work, the event must be under $150 a person or it becomes a taxable benefit to the employee. However, if the employer pays for a meal that also corresponds to a work reason, for example networking or an educational lunch, it is not taxable to the employee. First, we will note that if you give your employees a small gift of little value you do not need to keep track of it. This can include things like a coffee mug, or a company branded hat. For everything else your payroll professional will need to keep a list of all the gifts and awards that have been given to the employee. Anything over the $500 will need to be added into the employees income. The $100 gift card automatically needs to go into be added into the employees income as it is a cash equivalent item. The wedding and christmas gifts are both added together towards the $500 gift limit, $50 would be taxable ($300 + $250 – $500). Therefore in total, the employee has to take $250 in taxable income for the year. You can read more about gift giving on the CRA website, here. Or give us a call! 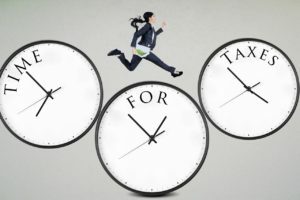 Tax time comes every year, and is a dreaded time for many, business owners and employees alike. 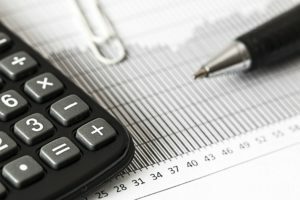 This post is directed at sole proprietor taxes, if you are an employee and have any questions please give us a call and we can discuss your tax needs with you. Posting this in February may seem early, however the earlier you start thinking about getting your paperwork ready for tax season the easier tax season becomes. It is also the way to become your tax preparers favourite client! The first step to take is to gather all your paperwork. With it being February you may not have all your investment paperwork yet, however, you should have almost everything you need. If you are doing your data entry, that is fantastic. We have a free spreadsheet below that you can use that creates a profit & loss statement for your accountant. You can find this at the bottom of this post. Once all your entry is completed then all you need to do is bring in your completed profit & loss and any additional investment paperwork to your accountant. From here they will be able to file your taxes for you. This method will save you money, and if you understand bookkeeping this is the way to go. If the thought of doing your own data entry fills you will dread, don't worry you can still save yourself some money with the tips below. When sorting, make sure to sort it into groups, for example: supplies, meals, or vehicle expenses. This will help the data entry go quicker for your tax preparer. If you have any purchases over $500 keep these separate from your normal expenses as they may need to be treated differently as assets. Fill out a home based expenses sheet before coming to your tax preparer. You can find a copy of ours at the end of this post. Bring your kilometer log with you. As you can see the key to saving money on taxes is organization and being prepared. Any time a tax preparer needs to stop and pick up your file due to missing information your bill will climb! On-Core can help answer all your persona tax questions & provides tax returns for an affordable rate! Give us a call today. Free Profit & Loss Workbook! With the Holidays fast approaching it is important to discuss employee gifts & bonuses. As with most things for payroll, employee gifts have specific rules to follow. We will start with the disclaimer that this post is only going to cover the basics of the gifting policy outlined by the Canada Revenue Agency that has to do with the holidays. We will be posting another blog in early 2019 that goes into more of the specifics of this policy overall, keep checking back for that! If you have any questions concerning this policy please give On-Core a call, or check out the policy on the CRA website, here. Holiday Parties are a common occurrence at this time of year. You may be thinking to yourself, “this is a post about employee gifts, what does a holiday party have to do with that?” What you may not realize is the CRA has determined an acceptable amount of money you may spend on your employees for a party. An employer is allowed to spend up to $150 per employee on an event. This must include everything, the food, drinks, ticket prices, cab fare home, etc. If you have stayed within this limit then the party is free to the employee, however if you spend over the $150 per employee the entire amount becomes a taxable benefit to your employees. A gift is defined by the CRA as being given to an employee for a special occasion such as a religious holiday, a birthday, a wedding, or the birth of a child. Therefore, gifts for the holidays will fall into this policy. Cash bonuses are always a taxable benefit to your employee and must be added to their income. It always needs to go through your payroll, and therefore your payroll professional must be notified if you have given these monies outside of the normal payroll run. One thing to note is that gift cards or certificates are referred to as a cash equivalent and must be treated as cash. All cash benefits are pensionable, and insurable. This means that in addition to income taxes you must deduct CPP & EI. A non-cash gift is something that the employer has bought and given to the employee; this could include items like concert tickets or a turkey for the holidays. 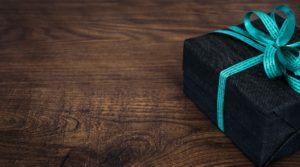 An employer has more leeway with non-cash gifts, as long as they fall into the definition laid out by the CRA mentioned above. You can give an employee a total of $500 worth of gifts in the year before they become taxable. This means you need to be keeping track of the gifts you give out. At the end of the year if you have gifted more than the $500, this amount must be included in the employee’s income. For example, you have given $650 worth of non-cash gifts, $150 ($650 – $500) is the taxable benefit. All non-cash benefits are pensionable, this means that in addition to income taxes you must deduct CPP & EI. We know this can be complicated to follow but we are here for you if you have any questions.